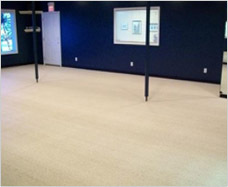 Looking for a cushioned, dry, odor-free flooring surface for your yoga studio? 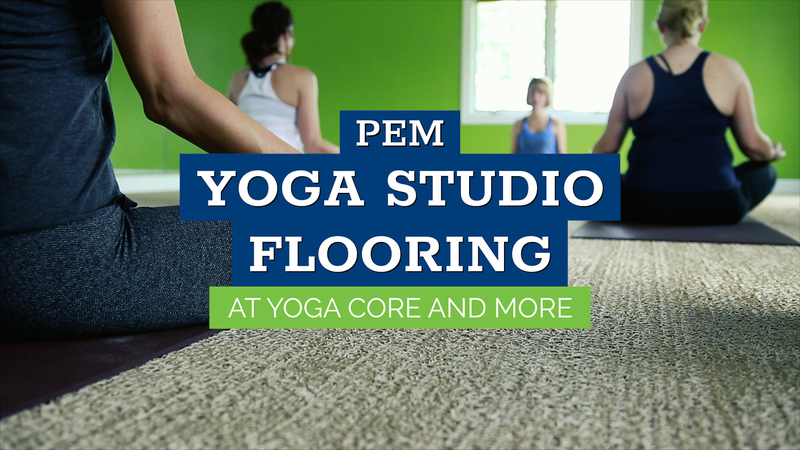 PEM Yoga Flooring is the perfect solution. The textured surface and soft construction provides protection and comfort to bare feet, allowing your clients to focus on their balance and strength. Aside from its unparalleled comfort, PEM slip-resistant Yoga Flooring can be installed wall-to-wall, maximizing the floor space in your studio. Durable thermoplastic construction that is designed for the moisture and humidity of hot yoga studios. Soft textured surface provides safety and comfort. Superior feel & performance to carpet, or hardwood floors. Shock absorbing cushion for less stress on the body. Reduces the risk of slippage. Provides stability for yoga poses. Porous design will not hold or absorb water. Trims easily with a razor knife for a custom fit that covers your studio wall to wall. Seams together simply with adhesive. Does not need to be secured to the sub-floor with adhesive. Can be removed for complete cleaning or relocating. In an effort to promote healthy living, the DFW International Airport decided to construct a yoga studio. While the size of the space was more than ample, the terrazzo flooring was less than ideal for performing yoga exercises. With the safety and comfort of travelers in mind, Dixon began his quest to find flooring that would ensure these conditions were met. Read case study. "Running a Bikram Yoga studio for five years I am so excited to be expanding our hot yoga from 1,500sq ft. room and look forward to installing another 450sq ft of the PEM flooring. All of my students love it. When they go to other studios they come back and rave about how much better "our" studio is. Music to my ears! It is so safe, I never worry about anyone slipping, and it easy to clean. The best part is it doesn't start to smell like carpets do after only a few months. Five years of daily use and it is as good as new, absolutely no wear and tear. Thanks for this amazing product. I am so happy to be ordering it again!" To request more information about our Yoga Flooring, simply fill out our contact form or give us a call at 800.783.2358.